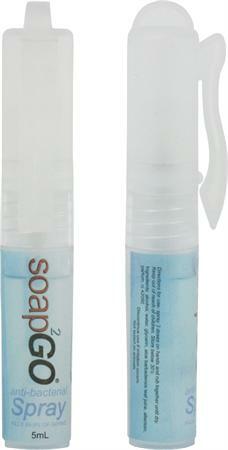 Convenient, hygienic and compact Antibacterial Spray Pen twin pack from Soap2Go. No water or rinsing required. 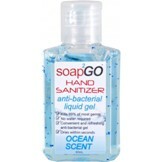 Anti-bacterial Hand Sprays are ideal for carrying around in pockets, hand bags, cars or where ever instant hand hygiene is required. Each spray pen contains up to 50 sprays, and will kill 99.9% of common germs. They can be used anywhere without the need for water. The addition of Aloe Vera and Allantoin leave hands feeling soft and refreshed. Antibacterial hand spray is perfect for the handbag, school bag, jacket pocket, work desk or just about anywhere.